HTC One X got new OTA which brings Android 4.1.1 Jelly Bean and HTC Sense+. HTC not only brings Jelly Bean goodness but also improved its Sense UI. Today we’re going to review Jelly Bean and HTC Sense+ UI. 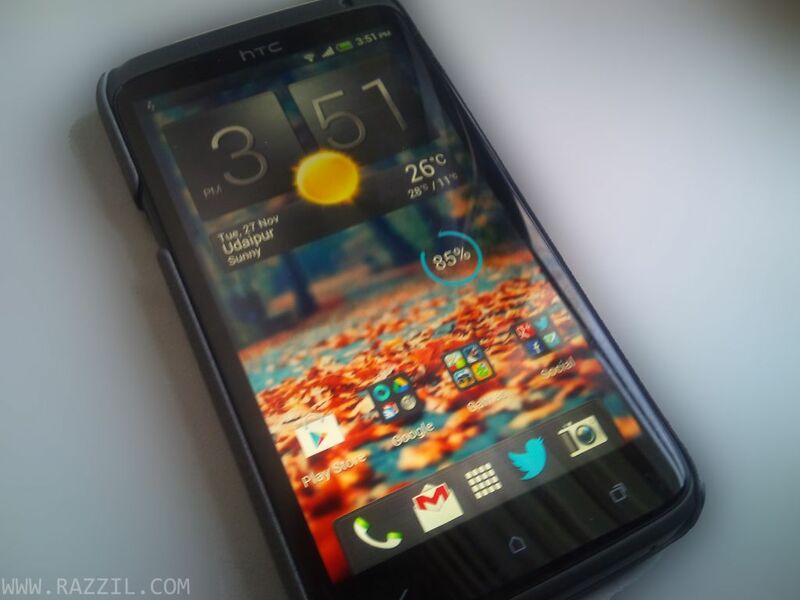 This post covers only software part, if you want more, you can read HTC One X Review here. HTC Sense+ is now much smoother than previous version. Thanks to Jelly Bean Project Butter and Of Course HTC. We all know Project Butter has significantly improved the Android performance. HTC Continue took lag war to the next level. Now Sense+ is lag free and as part of Project Butter, the dial pad, browsers, scrolling are more responsive. One more reason behind Smoothness of Sense is that they removed animation for e.g. They removed the animation from App Drawer. HTC rebuilt the camera application from the scratch and in latest update the camera is fast and produce fine details. They’ve also tweaked the UI, Now it shows how much space lest for video/photos and a new button for switching between the rear and front cameras. Additionally HTC also modified the scene layout. They group the popular scenes like Normal, Landscape, Portrait, Backlight (new), Night, Text (new) and Macro (new). HDR, Panorama and Group portrait can be found in scene layout. They’ve also added new intuitive camera standby mode: While you’re photographing and suddenly your phone goes into the sleep mode. You have to do is press the power button to wake up the phone. Previously you’ve to unlock the screen to access the camera. Now simply press the Power button and the camera will start. As we know that in Jelly Bean we can expand the Notification to get more info or take action on notifications directly from the redesigned notification shade. Notifications from the same application are grouped together, and the first item is automatically expanded. You can also use pinch-to-zoom or double finger gestures to expand or collapse notification. We can also control the notification for e.g. You can disable the notification from the particular game or app which is annoying you with the useless notification. And yeah, HTC also added the Big clock in the notification tray. The gallery application now has ‘events’ feature which group sets of photos based on the location or dates. You can also view the Geo-tagged photos on maps. The social integration in gallery application allows users to view photos from Facebook, Flickr, Dropbox, Picasa and SkyDrive. I guess many of you’re waiting for Battery performance. Battery definitely improved with JB update but beware Google Now may eat more battery. HTC has come up with new ‘Power saver’ features. Power Saver features can be found in your Notification tray. The power saver feature will reduce CPU power, Reduce screen brightness, Turn off vibration feedback and Put Data connection to sleep. The Battery usage UI has been revamped. Now it’s showing remaining percentage in a battery but removed Screen time which will surely annoy you. HTC added new Full screen dial pad so that you can easily input the number. And yes you can now use High Resolution contact photos, Thanks to the new Jelly Bean features which allows us to set High Resolution contact photo. I don’t if you still use SMS or not but if use then it’s good news for you. HTC added some nice features in their Messaging app. You can password protect your SMS. HTC added two new inbox ‘Secure’ & ‘Block’. In Secure inbox you can password protect your SMS. Other features include decorating your Inbox with colors or wallpapers (similar like Whatsapp) and built-in SMS backup and restore tool. Three new skins ‘Steel’, ‘Concrete’ and ‘Graphite’ has been added. It’s good to know that HTC is listening user feedback and you can see their efforts in the latest Jelly Bean update. It’s a big update from HTC, they not only brings Jelly Beans good but they also improved the Sense UI. I appreciate their work. Normal users may find difficulties with the latest OS as most of them can’t handle too much change but believe me as time passes you’ll the update. Sense+ is definitely smoother than ICS but not as smooth like stock Jelly Bean. I recommend all HTC One X users to immediately update their phone with new OTA. Hey, in messaging, while typing a message, if we add a smiley through keyboard[i.e: if we type :) ] it automatically displays the smiley while typing , whereas in previous versions, the smiley used to show up only after clicking send button. This is cool. And btw, you covered everything and it is cool.